Observant drivers and pedestrians passing in front of the British Colonial Hilton to round into Bay Street, downtown Nassau’s main thoroughfare, will notice a large, framed banner on the second-storey wall of the building just across the way. They should know that this display, erected through a collaboration between Creative Nassau and the Downtown Nassau Partnership, represents two achievements of which all Bahamians should be proud. The United Nations Educational, Scientific and Cultural Organization (UNESCO) has designated The Bahamas’ capital, Nassau, a City of Crafts and Folk Arts in UNESCO’s prestigious Creative Cities Network (UCCN), which comprises 69 cities from 32 countries with designations in one or more of seven creative fields—Crafts and Folk Arts, Design, Film, Gastronomy, Literature, Media arts, and Music. Nassau has further distinguished itself by being one of the first and only two UCCN members in the Caribbean, the other being Jacmel, Haiti. The aim of the UNESCO Creative Cities Network is to place creativity and cultural industries at the heart of development plans at the local level and to cooperate actively at the international level. The second great achievement is that of the Creative Nassau organization, which began the application process for the designation in 2008. With straw crafts and junkanoo arts as their focus, the CN team spent the ensuing six years doing the necessary research and writing to demonstrate to UNESCO that the country’s capital was indeed worthy of the accolade. 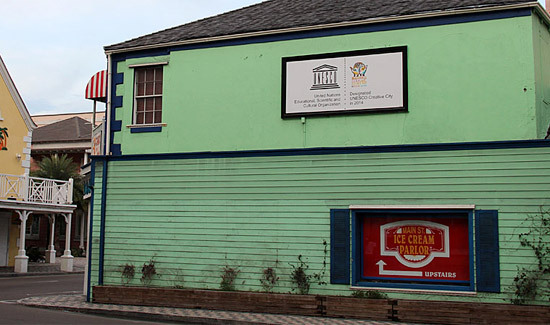 The City of Nassau received the prestigious designation as a UNESCO City of Crafts and Folk Arts in December 2014, which allows the City to display the official UNESCO Creative Cities emblem. 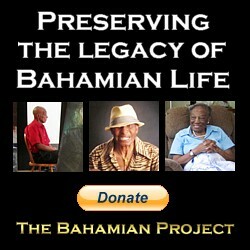 Led by husband and wife Jackson and Pam Burnside (current president of the organization), the founding members included Patricia Glinton-Meicholas, vice president; artist John Cox, former UN Ambassador Dr Davidson Hepburn, College of The Bahamas professor Dr Nicolette Bethel and photographer Paulette Mortimer. Bahamians don’t care about these signs, two businesses, big deal. This new generation only cares about getting rich quick, parents who encourage their kids to steal and kill for what they want. Two signs, big deal, here today, forgotten in 24 hours.